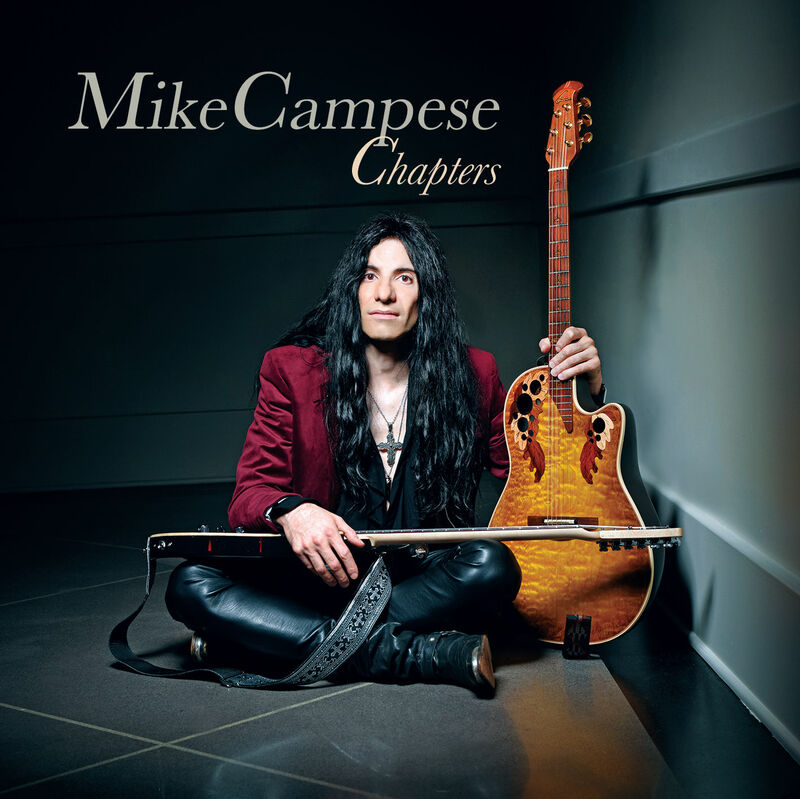 The 9th solo album by guitar virtuoso, Mike Campese, “Chapters” a 15 track, 67 minute album, that is mainly all acoustic, with a splash of electric guitar. It is now available in all major outlets and right on this website. 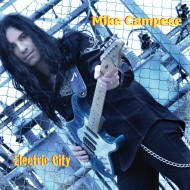 It began back in late 2013 when Mike Campese traveled to Italy on tour, to many Italian city’s. Mike began to gather song ideas in his travels. Most of Campese’s compositions are fueled through inspiration while visiting new locations and how can you go wrong with a beautiful country like Italy. Not only is this album heavily inspired by Italy, but some of the compositions where written in some of the most beautiful islands of Hawaii as well, which Mike visits frequently. The album kicks off with the aggressive, acoustic guitar slap of “The Quake of Laviano”, that is inspired from an earthquake that hit several years ago in Laviano, Italy, the Italian region of Campania. This is particularly close to Mike as he lost several relatives in the tragic earthquake while they where attending a cliff side wedding. Mike is a very versatile musician and primarily a guitarist, he does play all the instruments on this album and performs the vocals as well. Like the haunting track, “You Take My Breath Away”, which has some beautiful melodies and soaring electric guitar throughout. The vocals are full and lush on this track, as well as on a few others like, “Ariel’s Dream”, which is a beautiful tune with a lot of great melodies and some nice changes. Campese says, this song was written entirely on an airplane with a laptop. Even though Campese is not really a singer, he quotes, “I’m not a singer, I’m a guitarist that sings” . On this album, he does incorporate more vocal arrangements than on his previous releases. The guitar and vocal track, “Lonely Road to Rome”, feature some of Mike’s best singer/songwriter moments. 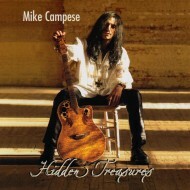 This album features some of Mike’s best acoustic guitar work since the all acoustic release, “Hidden Treasures”, which was very well received. There is a lot of blistering acoustic guitar on this album and if your a fan of shred guitar you won’t be left disappointed. The compositions, “Capriccio Di Parma” , “Romeing the Colosseum”, “Treviso Skies” and the playful, “Dance of Venice” will have your head spinning with the speed and virtuosity on the acoustic guitar. Even though there is plenty of shredding on this album, like every Mike Campese album, his sense of melody is very prominent. Mike is known for being a melodic shredder and it comes out very strong on this release. There are several songs on this album that have some nice melodies, the track “Cathedral of Florence” has beautiful melodies accompanied with some nice slide guitar. The very melodic “Cardinale” has some very nice twists and turns in the arrangement. Also, there is a nice Spanish/Mediterranean track with a lot of blazing nylon string guitar lines, titled “Across the Mediterranean”. Mike’s love for the rock, funk and jazz vibe really shows on the track,“Riding to Amalfi Coast”. This track has vocals and it has a great groove that is aggressive. The driving beat, kicks in right after the jazzy intro and it has some fast runs that Campese is known for. The last few tracks that close out the album are very beautiful, with a little taste of Hawaii. The crazy fast, jazzy tune, “Live Tribe” is just guitar, percussion and Congo drums with some very fast guitar lines while the Congo’s are pealing. It will have you feeling like you are running through the jungle. “The Garden Isle” was written in Kauai on the beach, you can hear the roar of the pacific ocean with the soothing sounds of the Wailua falls in the background. This track will make you feel like you are on Hawaii’s most beautiful island, Mike even mixes in some Ukulele with the acoustic guitar and vocals on this track. Also inspired by Hawaii is the song,“Kona”, written on the big Island. “Kona” has some beautiful melodies, with the birds of Hawaii right in the background and this is another track that features Mike on slide guitar. This is a great track to close out the album. 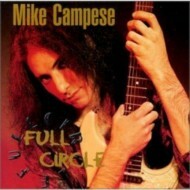 In closing, we feel that this is a great album by Mike Campese and it is very different from his previous releases. 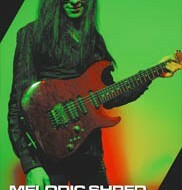 The Mike Campese listeners and followers are going to really enjoy this one.